A quick question about my lane machine comment. When I look at a freshly oiled lane in my center, I see lots of 2-3 inch long streaks roughly parallel to the oil all across the lane from gutter to gutter. Does anyone know if this is normal? I've seen the Black Widow. As a friend has one. He feels it reacts too early and too strong. I watched him roll it, and he can't find the right spot on the lane for it. If he was outside, it over reacted, and it didn't finish strong from the inside, almost like it rolled out. I ruled this as his lack of speed (13.5 mph), but he disagreed. He also has 3 urethane balls and this is the strongest of them all. Dennis, has your friend tried any changes to the surface of the Black Widow? Out of box at 360/500/500 might be too aggressive for me too and is a concern I have. The True Motion at 500/1000 seems like it would be more reasonable for me. I would likely play with surface if I found the Black Widow to be too much and I was wondering if your friend tried that and if it fixed anything. I find it hard to compare urethane notes with people at my home center because not many people really try to use it at all. My teammate just got a Fanatic BTU Pearl. He has a ton of speed and revs and finds that a lot of stuff he gets overreacts a lot even when he is told it shouldn't. With the BTU Pearl, he is getting overreaction when he plays more direct and going too long when he tries to move in to fix the overreaction. I'd like to have seem him go with a dull urethane to smooth out the wet/dry. I bet he would get a look much like Jesper Svensson. Urethanes are becoming more popular here. And, have had success as well. I bring 2, Hammer Blue and an older and Lane Master Particle surface urethane. I really like the Lane Master. It doesn't roll out and has a decent back end finish. But, it's my middle ball. I'll ask if my friend changed the surface. Let you know. I'll also ask out Pro Shop guy who also rolls Urethane. And, see if he has changed any surfaces. Won't see them til Wed/Thurs, so you may have to wait for the answer. No problem about not finding out until later in the week. My wife isn't 100% on board with me getting another ball yet. I really like how my old Turbo reacts, if I get either ball I would like the Turbo to become the middle ball of the three urethane balls I would bring. Ok, I went to the lanes to see my friend with a Black Widow. He was not using it in game 1, but planned to get it out as the lanes wore down. All he has done is to polish the ball. He says, it gets better length, and to him, it's more to his liking. Also talked with the Pro Shop guy, who told me a lot (??) of bowlers have changed the surface to get more length. Most don't want to increase speed. Thanks Dennis, I'll have to see what I choose to do. My last week of league was Friday and although I shot an OK series, I still don't feel comfortable with how I was bowling. 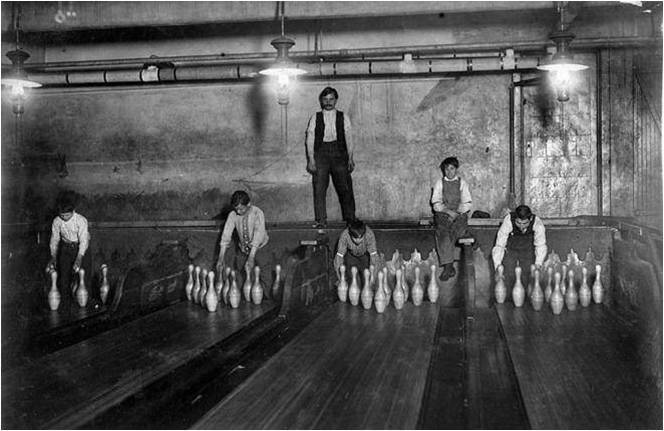 I am thinking about a bit of an overhaul of my game over the summer while I'm not bowling leagues. I really want to fix my timing and I stumbled upon an interesting article on timing. I'm heading to the lanes this morning to give it a shot, I have a feeling my ball speed is going to increase enough that I'll want to switch back to my resin equipment. About the timing, the article I saw has me starting the ball earlier than I thought I should. I was always under the impression that I shouldn't "pushaway" the ball until the 2nd step of a 5 step approach. My timing has always been late, my ball is still rising in the backswing when I'm on my 4th step. What I saw says to start your choice of pushaway motion in the first step of a 5 step, which is much like what Tommy Jones does. I've shadowed in in my house with and without a ball in my hands and it does feel pretty good. I'm interested to try it this morning.